Intended as a lower cost alternative to the 6120, the Anniversary originally had a pair of Filter ‘Tron pickups and an ebony fingerboard, but by 1960 was given single-coil Hi-Lo ‘Tron pickups and a rosewood fingerboard. 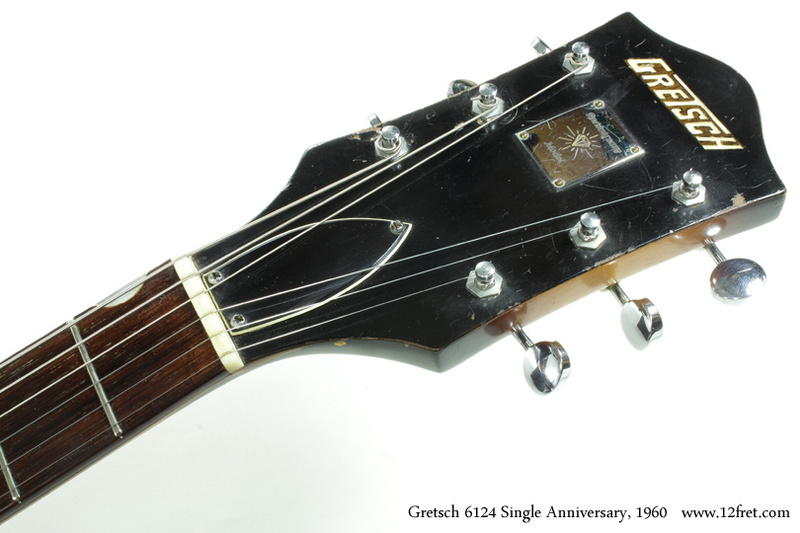 The Single Anniversary model, shown here, has one pickup. 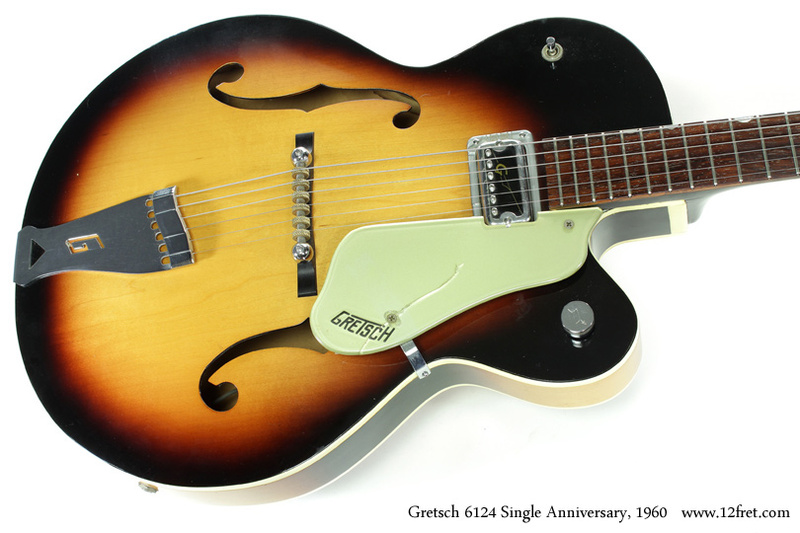 This 1960 Gretsch 6124 Single Anniversary is in good playing and visual condition, with most original hardware and case. The 6124 Anniversary model body is very similar to the 6120. Maple laminate top, back and sides with tone bars and bridge post, larger unbound F-holes. Single layer binding. 16 inches wide, 2.5 inches deep. The finish is the Original nitrocellulose lacquer sunburst – the sunburst and single pickup give the 6124 designation. Finish is in decent condition, with play wear on the neck, and a worn section on the back. 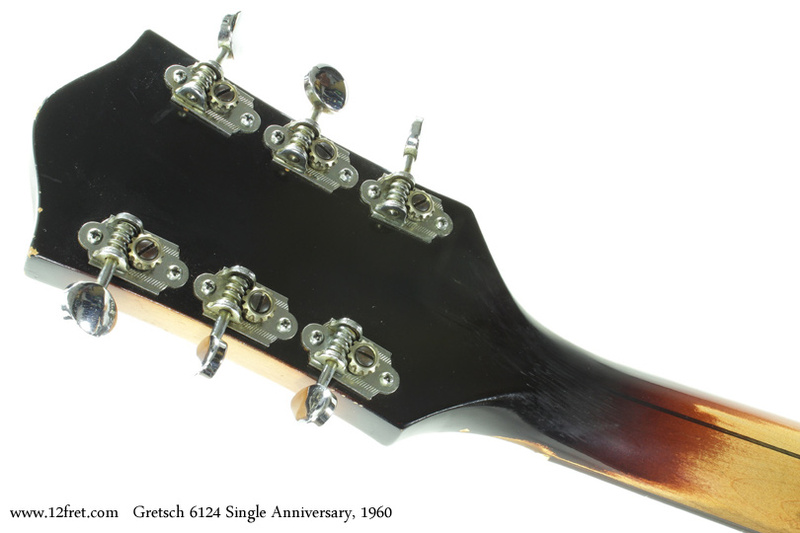 For hardware, this has the original open-gear tuners and G-cutout tailpiece. Original single Hi-Lo ‘Tron pickup (hence the name, Single Anniversary), tone switch and volume control. Space Control bridge with ebony base, with height adjustment wheels in the case. Pickguard included, though it is cracked. 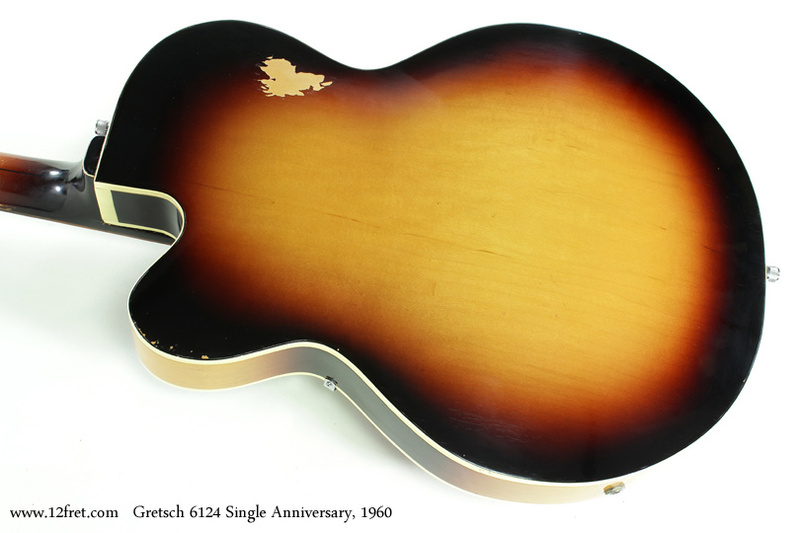 The original Gretsch hardshell case is included.